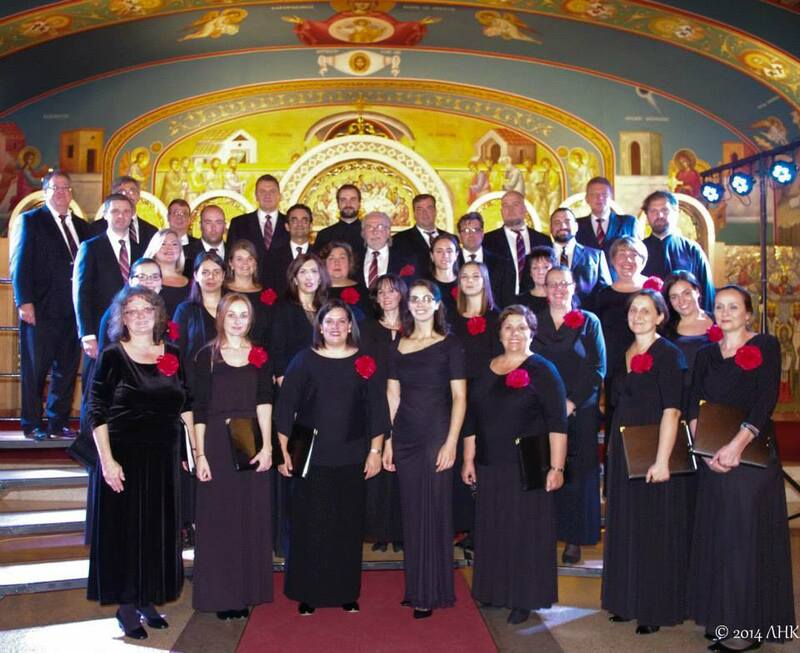 Chicago, IL - After months of planning, the choral workshop, symposium and concert of choral works commemorating the 100th anniversary of the death of Serbian composer Stevan Mokranjac is now a fond memory. 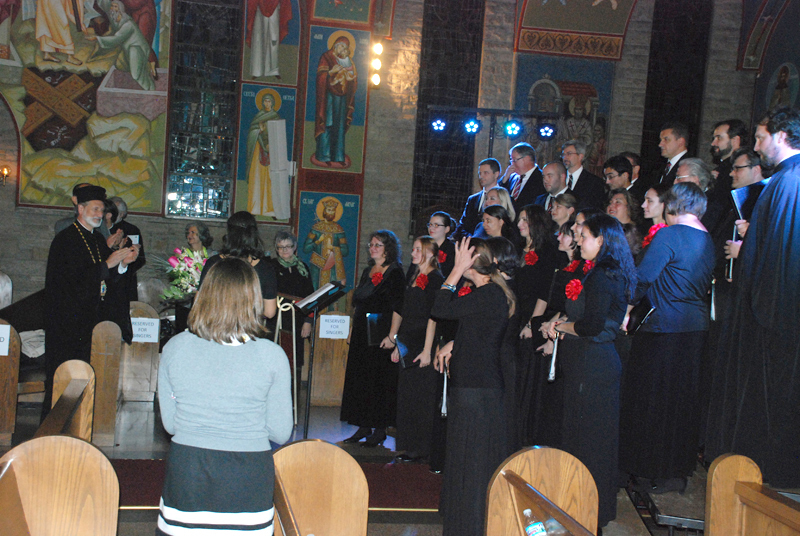 The Serbian Singing Society Branko Radichevich and Serbian Singing Federation's months of planning and revision finally took form starting on a chilly Friday evening, the 3rd of October, when participants in the choral workshop arrived at the Holy Resurrection Serbian Orthodox Cathedral on Chicago's northwest side. 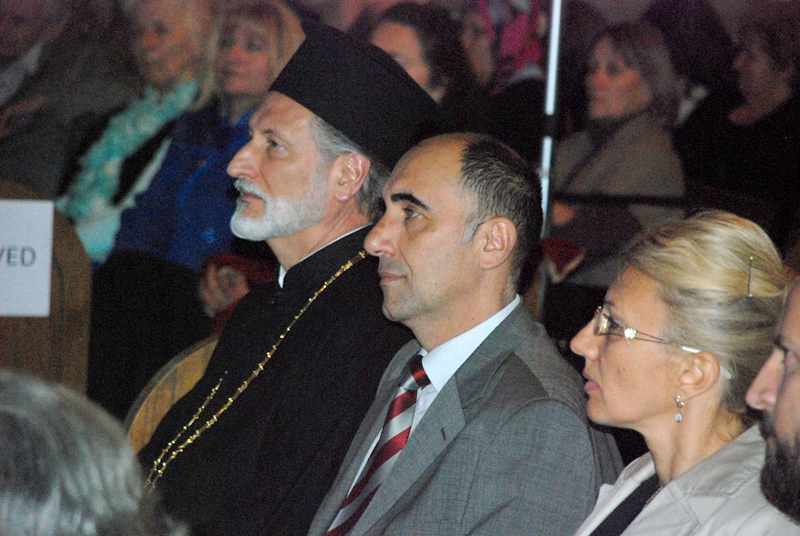 Out-of-town presenters representing two continents, Dr. Danica Petrovic, musicologist and Mokranjac expert from Serbia and His Grace Bishop Irinej of the Metropolitanate of Australia and New Zealand also arrived Friday evening. 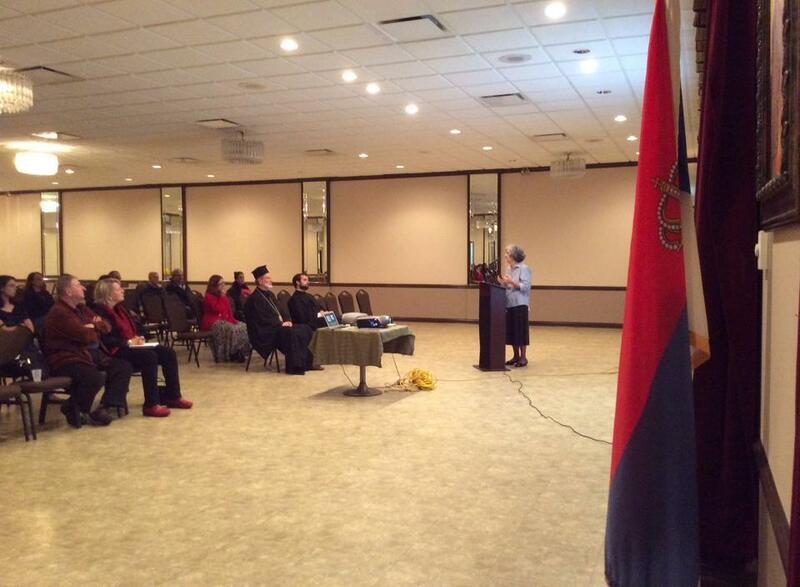 Dr. Petrovic made the first of her three presentations during the weekend, discussing the history of Serbian liturgical music prior to Mokranjac. Friday's gathering also served as a "meet and greet" for all present. Saturday morning, after opening remarks and a welcoming address by Jelena Stojakovic, president of the Serbian Singing Federation, the first session began, presented by Dr. Peter Jermihov, who gave an overview of how conductors should familiarize themselves with a piece of music, using as an example Stevan Mokranjac's composition “So svjatimi," part of his Opelo (Requiem). In the next presentation, Popadija Jelena Vranic discussed the balancing act of interpreting a composition versus the need to respond in a practical way at the divine services. 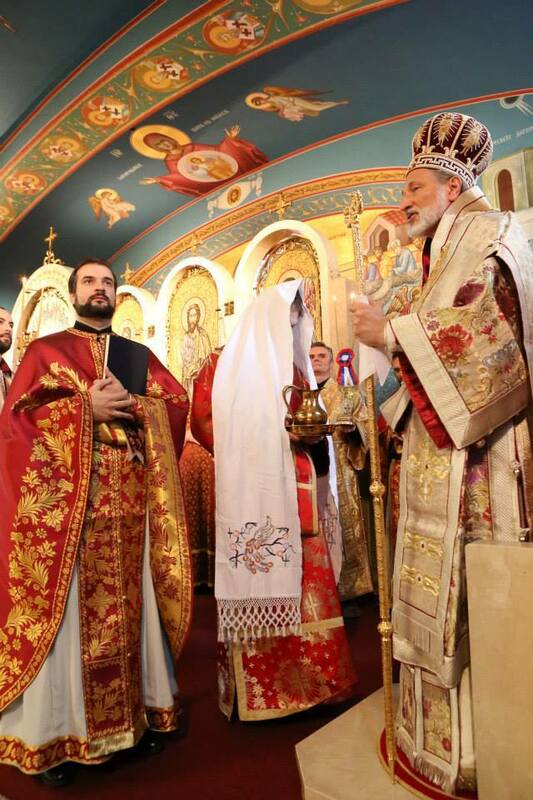 While Mokranjac’s “Aliluja” after the reading of the epistle is dramatic and conveys nearly everything that he is heralded for as a composer, in the Divine Liturgy of the 21st century, it creates an inactive period behind the sanctuary, which contradicts the dynamic nature of the service. She also compared two versions of the “Canon of the Eucharist” that were translated into English and explained the challenges involved. Finally, she taught the female voices a three-part harmonization of “Hvalite” arranged by Mokranjac. 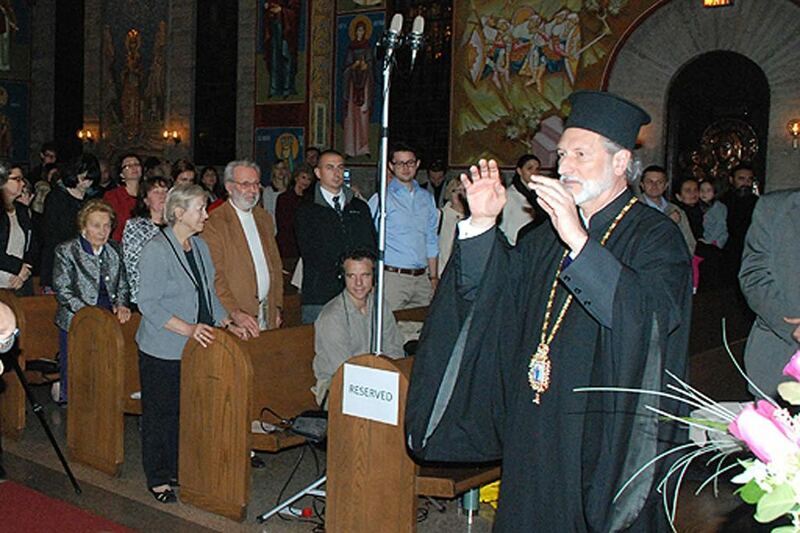 Keeping up with a workshop tradition, the student directors each directed one of the recessional hymns at the end of the Divine Liturgy on Sunday. 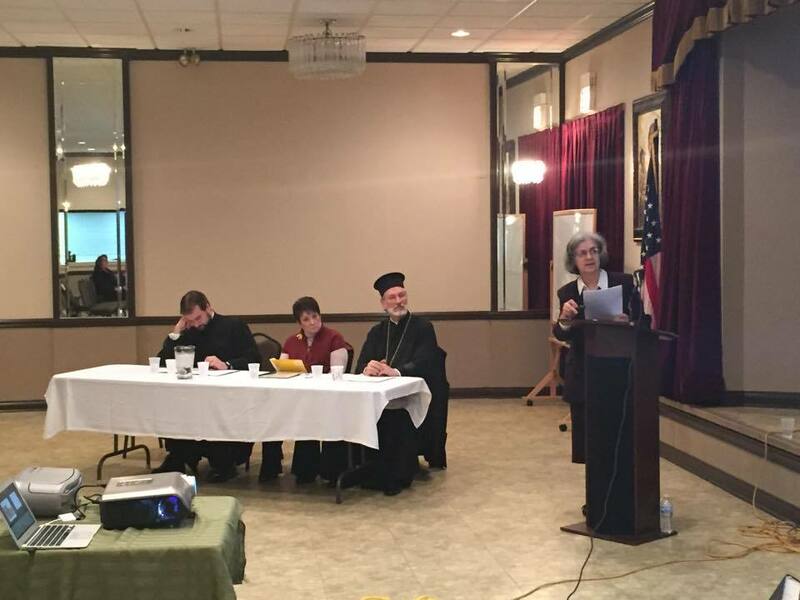 The Symposium on Saturday night included presentations by Dr. Danica Petrovic, who covered Stevan Mokranjac’s life, performances and travels in Eastern Europe, Germany and Russia as well as that of Kornelije Stankovic . Dr. Petrovic made comparison of how Stankovic was educated in Austria and from there proliferated in Serbia, while Mokranjac was educated in Serbia with his influence spreading outwards to Germany, Russia and Turkey. Rev. 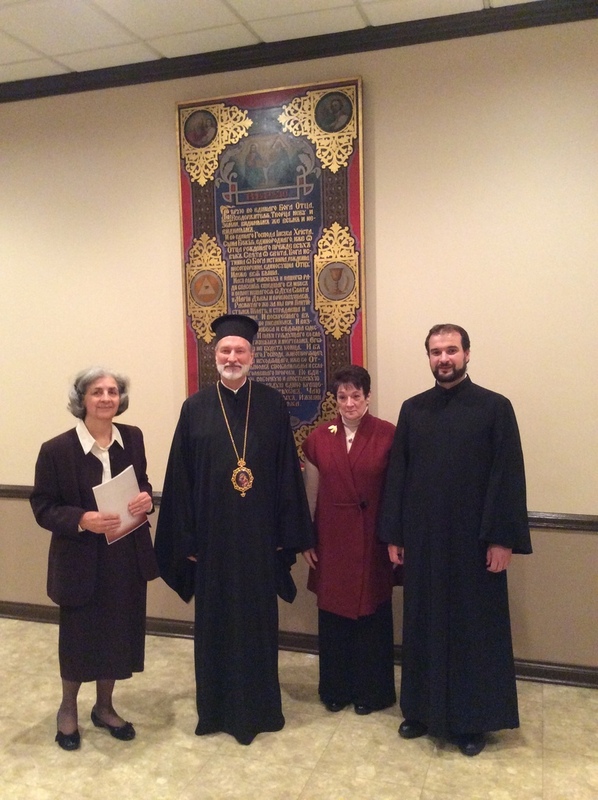 Dr. Vasilije Vranic presented hymnody as a part of Orthodox theology and how Mokranjac’s works accurately reflected it. 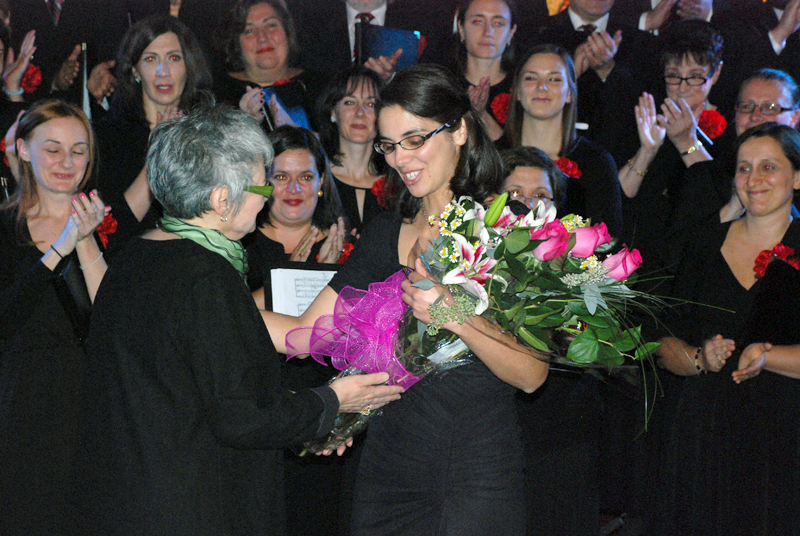 Elizabeth Neskow, Director Emerita of the Brankies and Executive Secretary of the Serbian Singing Federation presented a history of Mokranjac compositions making their way to the new world via the efforts of Vlajko Lugonja, the Federation’s founder, and the challenges he faced in maintaining the compositions’ authenticity. 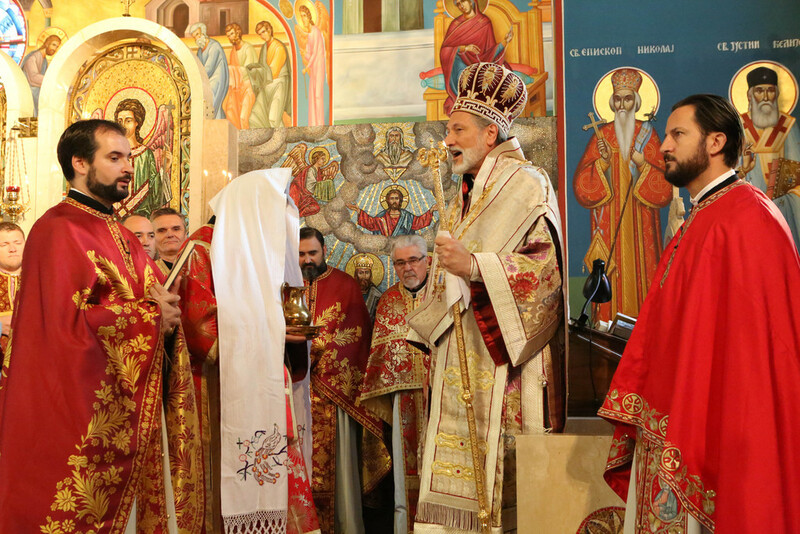 His Grace Bishop Irinej spoke last, covering the role of music in the church as one of the ways the presence of heaven on earth is conveyed during divine services. A question and answer session followed that featured the presenters giving their candid opinions on a variety of related topics, including each individual’s favorite Mokranjac sacred arrangement. 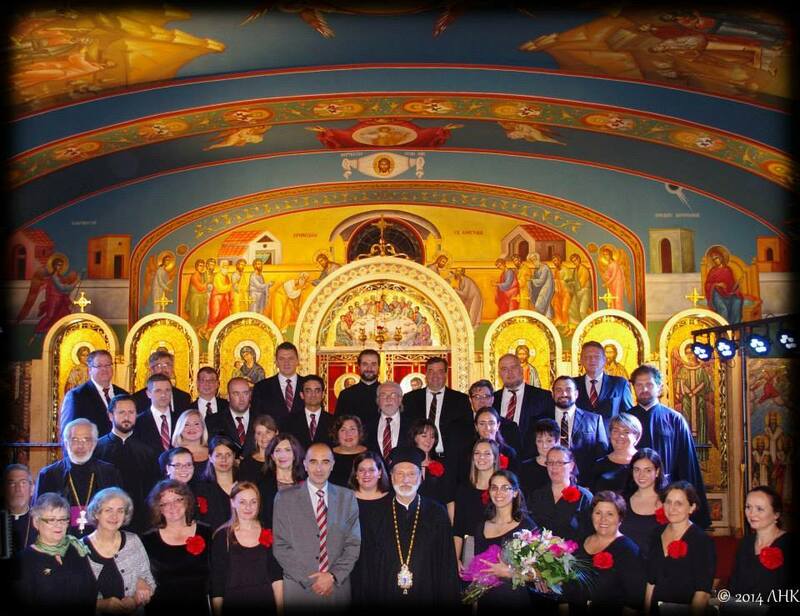 The Brankies, fulfilling their role as the choir of Holy Resurrection Cathedral, along with the out-of-town workshop participants, were ready and waiting for His Grace Bishop Irinej’s arrival and despite director Popadija Jelena’s imploring everyone to save their voices, responded enthusiastically to the Hierarchical Liturgy, in which His Grace ordained the co-instructor of the Junior Brankies, Jovan Anicic, to the holy diaconate, joining the rest of the congregation singing and shouting “Axios!” “Dostojan!” and “He is worthy!” Individual Brankies members' enthusiasm and anticipation of this momentous day was palpable to the very end of the service, some three-and-a-half hours later! The Brankies arrived at 3:15 the same afternoon to get ready for the weekend’s climax, a diligently-rehearsed program of complete selections from the different categories that Mokranjac compositions fall: from his Opelo (in English “Requiem”):“Njest svjat,”(No One is As Holy), from the Matins on Holy Friday: “Statija treca” (Third Stasis); from his Akathist to the Mother of God, “Vozbranoj” (Hail Bride); from the Liturgy of St. John Chrysostom, “Heruvimska pesma” (Cherubic Hymn), “Tebe pojem” (We Praise Thee) and “Dostojno jest” (It Is Proper); from his academic works, “Cetiri obredne kajde” (Four Ritual Songs); from his Rukoveti (Garlands), the Eighth, Seventh and Second, whose verse “Osu se nebo zvezdama” (The Sky Was Filled with Stars) provided the eponymous theme for the entire weekend. Solo sections were performed by Brankie members Jelena Stojakovic (soprano), Anastasija Iglendza (soprano), Mike Minkel (tenor), Alek Lappin (tenor) and Nick Jovonovich (baritone). 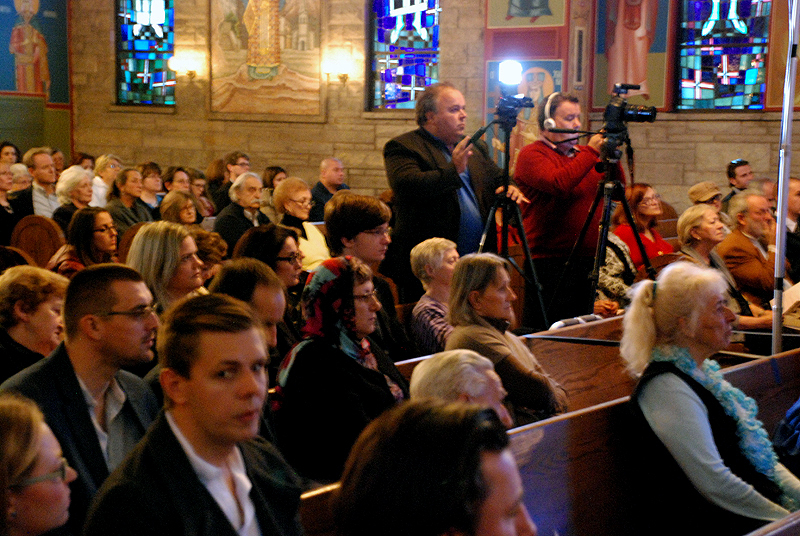 Dr. Vesna Neskow executed the master-of-ceremonies duties in earnest and set the appropriate tone for the program, which again featured Dr. Petrovic, who presented the third part of her series on the life and works of Stevan Stojanovic Mokranjac, in between the first and second halves of the concert. The performance took place inside the Cathedral to take advantage of its superb acoustics and was delayed slightly due to a rather large wedding that took place there earlier in the afternoon. The audience, which nearly made the venue standing-room-only, sat patiently and politely as the risers were assembled and final placements were made. 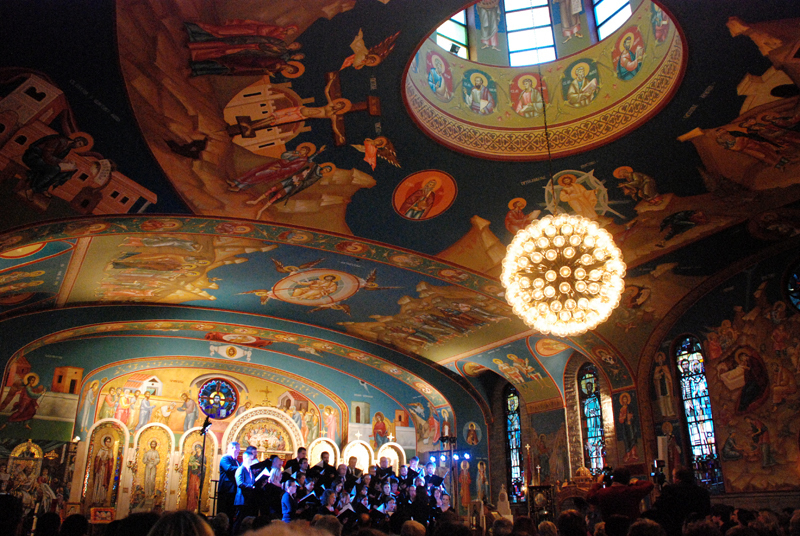 The singing of “Tebe Boga hvalim” (Te Deum Laudamus) marked the end of months of behind-the-scenes preparations and seemingly endless rehearsals that culminated in a one-of-a-kind-outside-the-borders-of-Serbia performance commemorating the death of Stevan Mokranjac, the most renowned of Serbian composers.